The Great Brexit debate - is UK agriculture better off in or out? The EU referendum, which could take place as early as this summer, is arguably the biggest issue facing UK farmers today. So what are the pros and cons of ’Brexit’ for farming? The tone has been set for months of intense debate ahead. The implications for UK farming of the outcome of the EU referendum has been debated twice, at length, over the past 10 days. Former Defra Secretary Owen Paterson traded blows with EU Agricultural Commissioner Phil Hogan in an entertaining Oxford Farming Conference debate last Thursday. 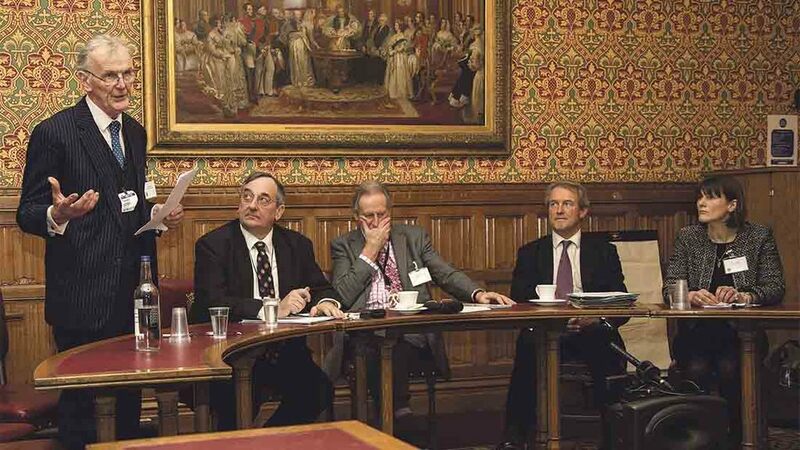 This Tuesday saw an equally informative debate at the House of Lords, hosted by the British Guild of Agricultural Journalists (BGAJ) and chaired by its president Sir Don Curry . 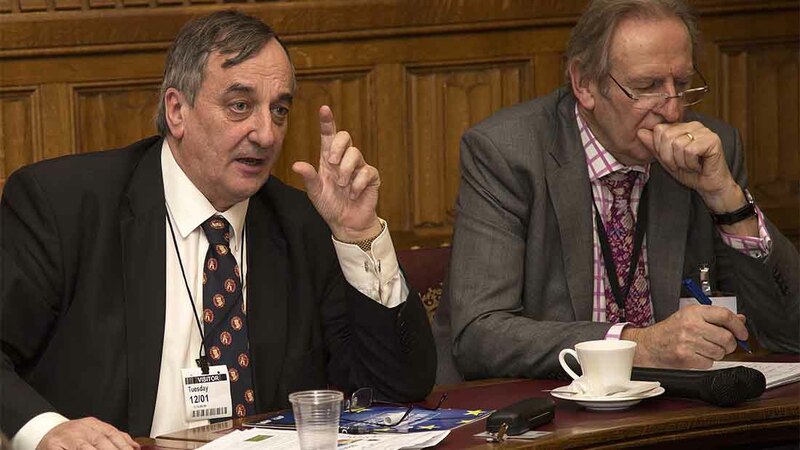 It featured Mr Paterson, NFU president Meurig Raymond, Burges Salmon farm finance expert Sian Edmunds and Brian Gardner, a consultant specialising in EU and international agriculture policy. On both occasions, Mr Paterson sought to address one of the farming industry’s greatest fears over Brexit. Pointing out the UK’s net contribution to the EU, £9.8 billion, is more than three times the current UK CAP budget of about £2.9 billion, he claimed a post-EU UK Government could afford to ‘pay as much, if not more than the CAP’. UK politicians would be ‘idiotic’ to take an axe to CAP funding given its importance to farming and, would, initially at least, maintain it at current levels, he predicted, pointing to relatively high levels of farm support in non-EU countries Switzerland, Norway and Iceland. 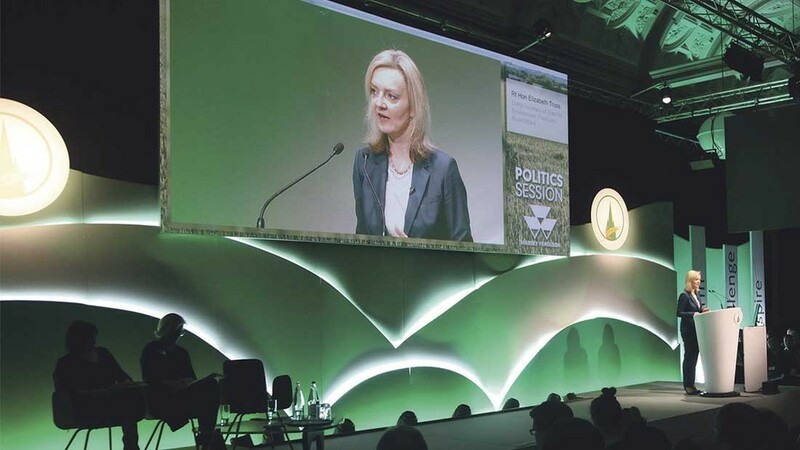 The big benefit, however, would the ability for the UK Government and industry, freed from burdens and complexities of the CAP, to develop a ‘sensible’ farm policy, targeting the funds in a far more effective manner. Payments, for example, could be used to reward upland farmers for the public goods they provide, with lowland production ‘broadly left to the market’. "There has to be a level of support. I would suggest the same level of support to start with, although it will be an evolving process, but we could adapt it to UK conditions," he said. There was a great deal of scepticism, however, about whether this is a realistic position. Burges Salmon’s Sian Edmunds pointed out it would not be Mr Paterson’s decision to make and concluded it was likely farmers would see a significant drop in support. "I believe many would struggle if the rug was pulled from under their feet," she said. Brian Gardner, author of a recent report on the implications of Brexit for agriculture, said his research indicated ‘no UK Government would ever subsidise farmers to current levels’ and predicted UK farm support would be reduced to one-third of current levels, with a ‘worst case scenario’ of a ‘complete cut’. This would hit land value and farm incomes and ‘harm small farms’, many of which would disappear. As farmers sought to reduce production costs, it would result in increased intensification of UK farming, which would also damage the environment. Mr Raymond highlighted to the consistent position, led by the Treasury, of UK Governments and all main political parties over the years, with Mr Paterson himself to the fore at times, in calling for CAP funding to be slashed, including reports recommending the total removal of Pillar One funding. Stressing his concern was UK farmers’ ability to compete fairly on the global market, he suggested the UK Government would be more likely to use its net financial gain from Brexit to fill its massive budget deficit, rather than support farmers. He said CAP support currently accounts for, on average, 55 per cent of UK farmers’ income, and nearer to 100 per cent in some cases. Looking to Ireland and south and east, some of the UK’s EU competitors are likely to receive in the region of £70-80/acre (£173/hectare) in future years, while US farm support had also risen over the past two years. But Mr Paterson urged farmers not to get ‘stuck’ on the level of CAP funding in the EU debate, pointing out it was taxpayers’ money and farmers needed to justify how it was used, hence the need to develop a more effective that rewarded public goods. Farm support would continue to decline in the EU and elsewhere in future, he said, suggesting UK would have to go the same way. At the heart of Mr Paterson’s ‘better off out’ argument was the belief the UK would yield significantly more power on the global stage outside the EU. The UK is currently represented by ‘just 1/28th of a seat by the EU’ on world bodies which determine global regulation such as the World Trade Organisation (WTO), the OIE (world organisation for animal disease), and Codex Alimentarius (which regulates food production and food safety), he said. Outside the EU, it would be able to take a ‘full seat’ on these bodies and have a much greater say in the rules UK farmers have to comply with, the Shropshire MP added, giving examples of how Norway on fishing and New Zealand on bovine TB were allowed their weight on global bodies, in contrast to the UK’s impotence. At Oxford, Mr Hogan responded by recalling how negotiations at the December WTO Ministerial summit, featuring 162 countries, concluded with just five big players thrashing out a deal – the US, China, Brazil, India and the EU. “The EU effectively pushed a British priority. We used our combined weight and power to push for a fair and level playing field for EU farmers on the global scale,” Mr Hogan said, suggesting the UK had little prospect of entering this elite group. Mr Paterson’s fellow panellists at the House of Lords GAJ debate were also sceptical of the UK’s ability to become a major international force on some of these bodies. Ms Edmunds questioned the logic of arguing the UK had no voice in the 28-member state EU but would somehow find one on the 160-strong WTO. The potential benefits and risks to agriculture in terms of trade is another hotly disputed area. Mr Hogan highlighted the benefits of the EU’s collective clout in securing important free trade agreements in recent years, such as with South Korea, Canada, Columbia, Singapore, Vietnam. There are also ongoing negotiations with big players such as the US on beef imports, Japan and, of course, China. "In the EU it punches above its weight at 500 million, almost twice the size of the US. He also pointed out post-Brexit access to the EU single market would come at a financial cost to the UK, as Switzerland and Norway would testify. Would the Treasury absorb this cost - it would it pass at least some of it on the industry? But Mr Paterson offered a ‘best of both worlds’ scenario to farmers. The UK would still enjoy access to the EU, trading ‘freely with European neighbours’, who he stressed relied heavily on the UK for exports. There is more in agricultural produce sold to the UK from the EU than goes in the other direction five million people in the EU depend on the UK for their jobs, he said. With so much at stake it would be ‘crazy’ for the to jeopardise that relationship, he said, suggesting the EU would go out of its way to offer beneficial trading terms. At the same time, the UK would also be in a position to develop new bi-lateral trade deals, for example with ‘Anglosphere’ countries such as the US, Canada, Australia and New Zealand, without waiting for ‘lengthy treaties’ like the Transatlantic Trade and Investment Partnership (TTIP). "We could trade with like-minded countries that wanted our products," he said. But at the House of Lords debate, Mr Raymond and Mr Gardner pointed out two-thirds of UK agricultural exports go to the EU, with sheep and cereal producers in particular reliant on EU markets. They predicted, whatever new trade arrangements were put in place, access would become more difficult and costly. The likes of Norway and Iceland, under their European Economic Area (EEA) arrangements, and Switzerland, contribute significantly to the EU in order to access the market. Mr Gardner warned UK farmers could also face ‘fiercer competition’ from imports in the absence of EU trade tariffs as protection would be reduced. 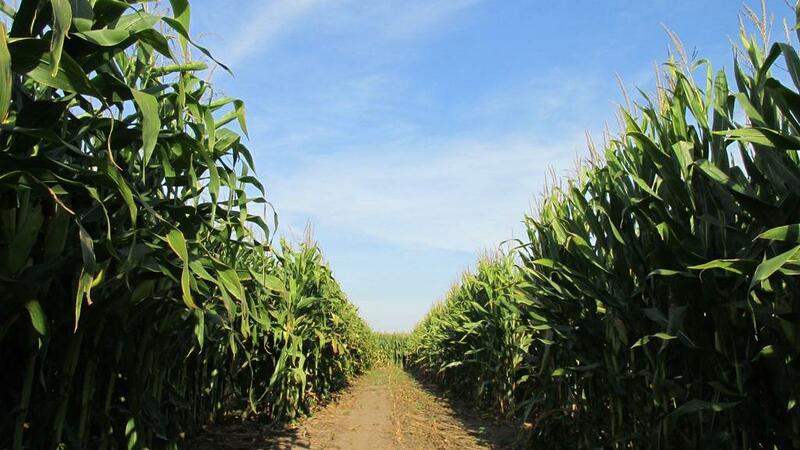 This would benefit consumers in terms of lower prices but would not be good news for farmers. One of the biggest attractions for UK farmers of leaving the EU would be freedom from EU regulation. Mr Paterson highlighted ’intrusive, costly and difficult to administer’ CAP greening, including the much-derided three-crop rule and Ecological Focus Areas, as an example of unnecessary burden the EU imposes on farmers. He stressed how, post-Brexit, the UK could ‘massively simplify’ regulation, including the creation of a ‘gold standard for the best performing, most trusted farmers’, who would not be subject to regular inspection. It could also replace the restrictive ‘precautionary principle’ which enables the EU to ‘ban anything at a whim’ – such as neonicotinoid pesticides – with an ‘innovation principle’ to underpin its regulatory approach. This would enable the UK to embrace modern technologies such as GM currently ‘blocked politically’ within the EU. He claimed French agriculture, for example, was missing out on a missed yield of 1.4 tonnes of maize by failing to adopt GM technology. Others acknowledged the regulatory benefits of leaving the EU but pointed out UK administrations had often been the guilty parties in the past by gold-plating EU regulation. Mr Gardner pointed out access to EU markets would require continued compliance with EU regulation. "The question is: what sort of trade deal would the UK reach? It is likely we would still have to comply with EU regulation to access the market," he said. "Much has been made of the Norway and Switzerland solutions. But both of those countries had to deal with the problems of regulation in accessing and also paying into the EU budget. Norway pays as much per capita as we do." In light of this, Mr Raymond questioned, for example, whether it was therefore realistic for the sheep sector to expect freedom from rules such as sheep EID, if it wanted to continuing accessing the EU market. He also highlighted the concern for the horticulture sector in particular in accessing EU labour. But Mr Paterson said these claims were over-played. Norway, for example, only had to comply with about a quarter of EU regulation as part of its market access. But underpinning both debates was a sense that farmers were being denied the opportunity to have a full and fair debate on the issue, given the information vacuum about how it would address issues like farm support, market access and regulation outside the EU. Mr Raymond said: “We have not seen those plans. There is currently a fear of the unknown and we need answers to all those questions." Ms Edmunds added: “The nub of the issue is the Government is failing to tell us what the non-EU landscape will look like.